Move Pros are office and house movers in San Antonio that have been serving the whole of Texas since their business began in 1999. This is a company that offers a flat rate for their services, which they proudly and openly display. This is just the beginning of the honesty from these movers. They are licensed and insured and the expert movers are highly trained so you can really trust the people that will have all of your belongings, even more valuable items like a piano, in their care. Moving into a new home doesn’t have to be a stressful experience when you hire one of the best professional moving companies in San Antonio, TX. 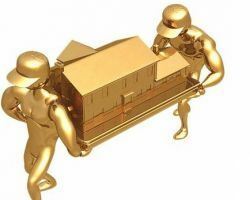 Move For Cheap is the most affordable local moving company with the most reliable services as well. What makes this company better than the competition is their dedication to planning and organization. This is key to moving all of your items safely and efficiently to a new location whether that is from an apartment to a new home or from an office into storage. 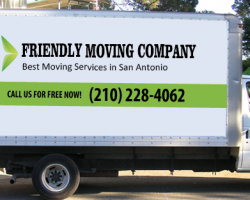 Affordable Moving Services offers residential and commercial moving in San Antonio. This company will not only get your things to their new location but are truly full service movers and packers. 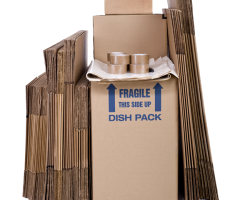 They can provide you with boxes and help make sure everything gets packed in an organized way. The professionals that work for this company are experienced and well trained. They will treat your items and furniture as their own, carefully packing each one to be moved with care onto a truck. Dodson House Moving is a company that specializes in relocating homes and structures, something the family owned business has been doing for four generations. As San Antonio movers, this company has the market cornered when it comes to moving entire homes but they still aim to keep their prices low and their customers happy. Calling them for a consultation is easy. They will come to assess the property you would like moved before deciding on the equipment they will need and a plan for completing the move in a timely manner. Friendly Moving Company offers moving that is even friendlier and just as cheap as your average nationwide moving services. According to reviews, this company does not only move your things safely but they can also pack and seal them beforehand. Having the professionals pack your belongings as well as move them ensures that everything will get to the new location in perfect condition. Contacting a member of their team is incredibly easy and only takes a phone call whenever it is convenient for you to get things started.